Double Defense. Protection against the appearance of aging. Did you know 90% of visible aging is caused by environmental damage? Even the best broad spectrum sunscreen may not fight damaging free radicals and these damaging free radicals also lead to visible signs of aging. Sunscreens are not enough. 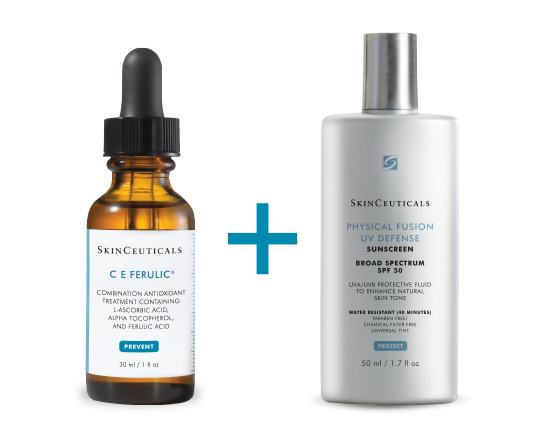 A complete approach requires double defense with an antioxidant and sunscreen, antioxidants prevent by neutralizing damaging free radicals and sunscreens protect by reflecting and absorbing UVA/UVB rays.